This week one of the Pittsburgh Steelers or the Los Angeles Chargers get one step closer to the playoffs in the National Sunday Night game for the NFL. Both of these teams are very similar when it comes to their playing techniques, but a significant loss in the running game for the Chargers could be the difference. The Pittsburgh Steelers come back home to Heinz Field after a tough loss in Denver to the Denver Broncos. One of the biggest questions in this game is the running game. 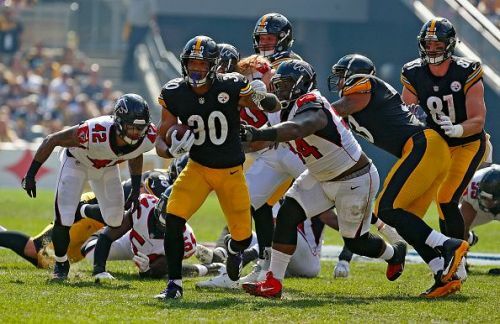 John Conner started the season on high, the last few games he has not been the difference maker that he was earlier. The Steelers need to rely on the run game more to help quarterback Ben Roethlisberger have a chance at making any passing plays work. With the return of powerhouse defensive lineman Joey Bosa back for the Los Angeles Chargers, it becomes even more critical for the Steelers offensive line to be in full form to stop Bosa and Melvin Ingram. The drama that surrounds the Steelers is not healthy. First, it was the Le'Veon Bell holdout, now the Ben Rothlesberger- Antonio Brown controversy. Time is now for the Steelers to show that there aren't any problems and a TJ Watt led defence can stop Philip Rivers and the Los Angeles Chargers. The Los Angeles Chargers are coming into this week with a dominant win against the Arizona Cardinals. The tandem of Melvin Ingram and Joey Bosa were a significant impact in making the Cardinals quarterback Josh Rosen have difficulty all game. The emergence of rookie standout Derwin James and linebacker Jatavis Brown has the Chargers defence playing at an all-time high. The offence led by gunslinger Philip Rivers is as potent as ever. Rivers has the best receiving core he has ever had since being drafted by the Chargers. Keenan Allen, Mike Williams, Tyrell Williams to name a few. As well the emergence of future Hall of Fame tight end Antonio Gates. This season could be one of Rivers best years yet, and hopefully more to come. The difference is the running game, their Pro Bowl running back Melvin Gordon is out with an injury and are relying on Austin Ekeler to be the guy. Ekeler has shown in the past that he can come in and produce well in both the running and passing game. Now can he be the difference maker like Gordon has in the past? This game will be a marvellous game to watch, and Joey Bosa will be fun to watch. Can he limit the success that the Steelers offence has had in the past, lets hope for Los Angeles sake it does?.